The Field Recordings are a band from Connecticut. They play the post punk rock and roll music. They are hard at work putting together an EP called The Elastic Nostalgia. To give you an idea what it will sound like, here is a track from their most recent free Bandcamp release, The Sad Cataloguers. Also available for free @ Bandcamp is their Statescapes single. Did I mention they are playing tonight? The Field Recordings have a blog. The Field Recordings are on Myspace. The Field Recordings are on Facebook. The Field Recordings are on Twitter. 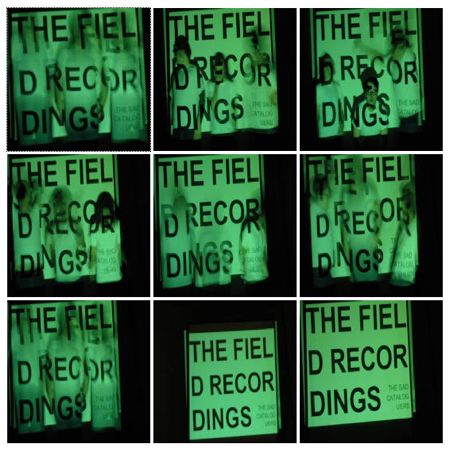 The Field Recordings have a Bandcamp. CD Baby page is here.